Whether you want to show off your gardening skills or just use your garden for entertaining, a garden furniture set is a must for al fresco living. Choosing the right garden furniture needs the same amount of thought as indoor furniture but our handy tips are here to help. Firstly, think about the style of your garden. Do you have a traditional or contemporary look or is it all focused around the children? For traditionalist we have quality wood and substantial cast iron, whilst for the contemporary look our aluminium and woven ranges are spot on. Size is a key factor too but even the smallest garden has room for a lounger or a bistro set. The key is to think about what you want to use the furniture for. If you love entertaining with local social gatherings then a 4 or 6 seater dining set or corner sofa would work well. If you prefer quiet contemplation then a beautiful arbour in a secluded part of the garden or a swing seat or bench would be perfect to pass the time. As an established brand name amongst garden and home furniture, Bramblecrest continue to look at new and exciting furniture designs and ways to further develop their brand and furniture collection. 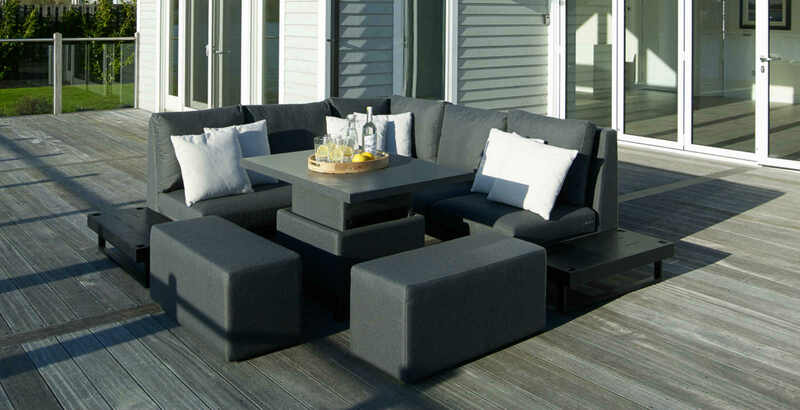 Comprehensive Collection for All Occasions – Their key focus is on delivering the finest teak, cast aluminium, woven and granite garden furniture, presenting a comprehensive collection of high quality furniture. 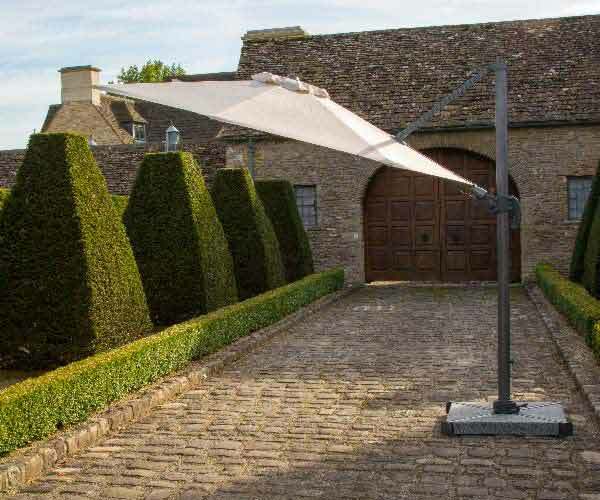 Designer and Distributor – As a leading garden furniture designer and distributor, they supply shopping retailers, garden centres, high street outlets and online retailers, nationally and internationally. Experience – Bramblecrest have over 10 years experience designing and supplying garden and home furniture, delivering an amazing product for you to enjoy. The Finest Garden Furniture – Bramblecrest pride themselves on providing the finest garden and home furniture. Creating a Strong Reputation – Bramblecrest have created a strong, successful reputation for their ability to provide the finest teak, cast aluminium, woven, granite garden and home furniture. Our fantastic range of metal garden furniture allows you to choose from a variety of traditional, maintenance-free and beautifully designed pieces. The vast majority of our mesh garden furniture collections are mix and match so if a particular set doesn’t quite fit your needs, you can create your own perfect combination. Simply choose a chair design, table size and table style. 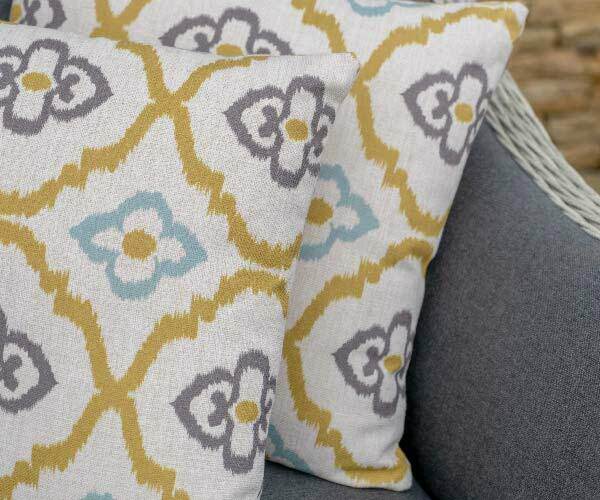 Then decide if you would like to add cushions or parasols to match. 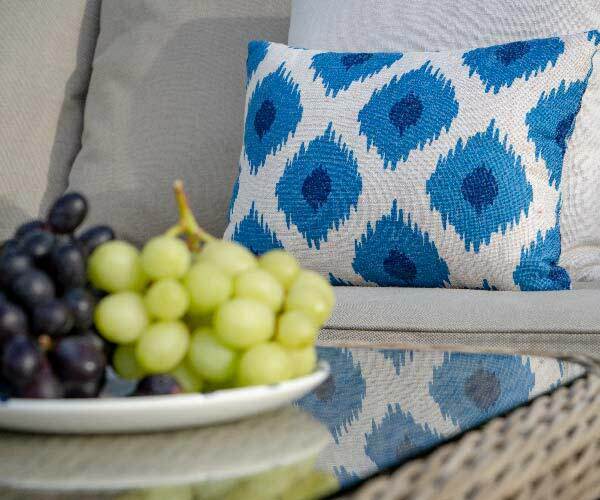 No garden furniture set is complete without a parasol and matching cushions but accessorising your garden doesn’t stop there. Go the extra step with the inclusion of coloured pots, tea light holders, or even a splash of garden paint to bring your garden to life.